Are you struggling to increase your Instagram ROI? Are you concerned the platform just isn’t for your business and thinking about throwing in the towel? This article will explain, in detail, how you can make Instagram for business work for you. I’ll give you the 6 strategies to generate leads on Instagram, turning your Instagram Followers into real-world customers. I’ll also drop three top marketing tips that will teach you how to get more Instagram Followers, so pay attention. Exclusive content is the prince of social media marketing (behind only contests, Facebook advertising, and social offers in my book). It furthers your relationship with your Followers, keeps them coming back again and again, and encourages them to interact with your brand on an individual, and long term, basis. Go exclusive: Use Instagram to reveal products you haven’t shared on your Facebook, Twitter or blog. This makes your Instagram Followers feel special. Launch a product or event live on Instagram: Make a short video of your business opening a new store, breaking open the box of a new product, taking a trip, or setting up for an event or conference. Create an exclusive offer: Give your Instagram followers a discount code which you’re only releasing to them. Creating a business profile that Instagrammers would want to be involved with is one of the best strategies to make them customers. One way to create this kind of Instagram profile is to show pictures of your place of business being awesome. Think the view out the window, your co-workers doing something fun in their time off, a weekend barbecue, the list goes on. Get creative! Another way to encourage Instagrammers to be involved in your brand is to offer exclusive sneak peeks into work you’re doing. Top Tip #1: Interact with your Followers. Instagram isn’t a one way street, in order to create a well-liked brand profile on Instagram, Like your Follower’s photos, comment on them, respond to comments on all your posts, and @mention your customers. Branching out of your own profile is a great way to grow it (and your customer base as a result). 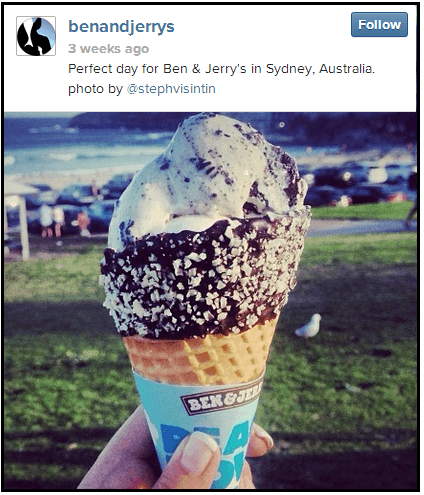 Instagrammers want to be famous - posting their images gives them a touch of fame in their otherwise hum-drum days. 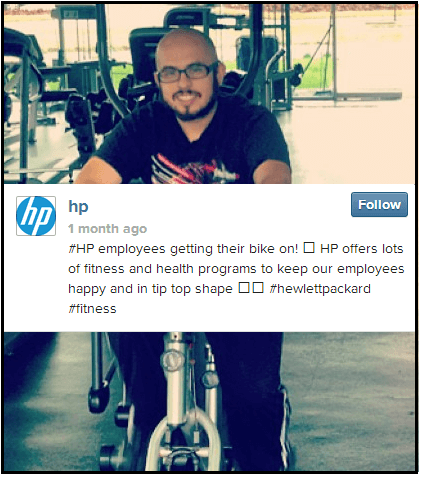 Top Tip #2: Use hashtags, both trending and campaign specific. 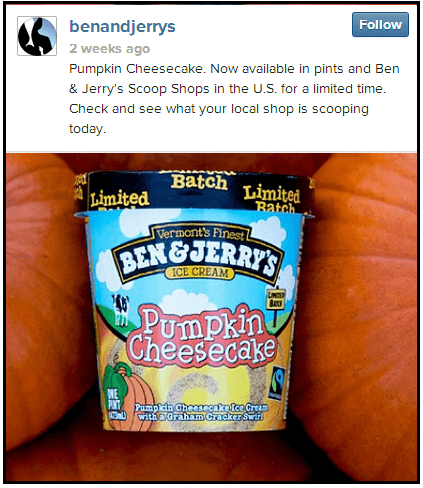 If you’re looking for user-generated content, use a single hashtag to create continuity in your appeal. Being likeable is more difficult on Instagram than it is on any other social media platform because you’re working with only one media - images. On Facebook you can post funny or inspiring quotes, run share vs like campaigns to encourage engagement, or any number of other awesome strategies. With instagram it’s a little more challenging. Don’t be lazy with your images. Every Instagrammer is an amateur photographer. To get ahead you need to be the same. Use filters to enhance your photos. Use photoshop, Diptic, or photoshake to edit your images, or combine a number of photos into one. 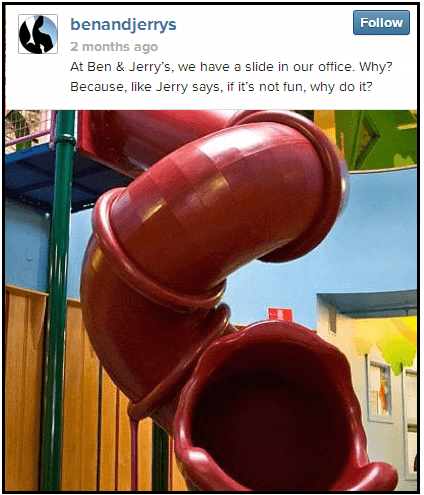 Feature fun photos and videos of your employees. 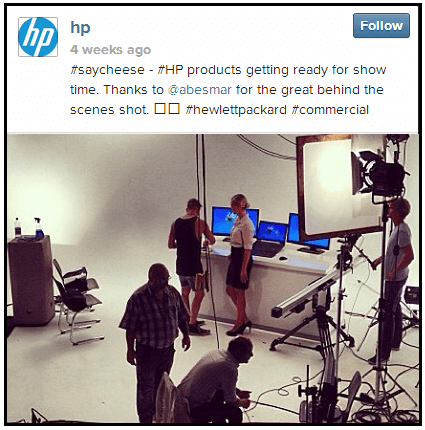 Give your Instagrammers a behind the scenes look at your company. Show your products as they are in real life. Post fun, authentic videos of your CEO - make your top executives look personable. Top Tip #3: A great way to increase your customer base is to partner with other brands or designers on Instagram. Create a mutually beneficial by posting their products and visa versa. Any business, small or multinational, can Partner with other brands. I’m not just saying this because Wishpond runs easy-to-use Instagram and Facebook Contest Apps either. I’m saying it because one of the best ways to generate leads from Instagram (and therefore the customers you get from the platform) is by offering discounts and prizes. Come up with a cool theme: Contests succeed when they coincide with what your Followers are already thinking about. Run a contest based around the seasons, back-to-school, tax season, sporting events, holidays, etc. Looking for ideas? 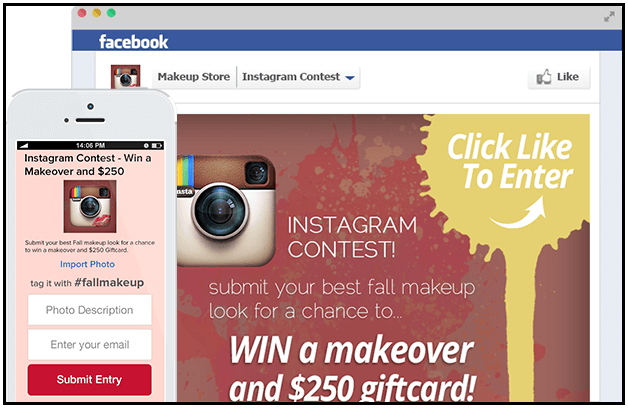 Check out Facebook Contest Ideas - don't worry, they'll work for Instagram too. Have an awesome prize: Make sure your prize provides enough of an incentive for your Followers to enter and share with their friends. Choosing a prize that connects specifically with your target market is a great strategy. Include a voting element: Bringing in a voting element will massively increase the chance of your contest going viral (thereby increasing your brand profile). Contest participants will share it with their friends, family, and friends of friends. Like any social media strategy, doing Instagram well means doing it smart. There are a couple very useful - and free - tools (like Statigram and Simply Measured) which can help you optimize the time and energy you’re putting into Instagram, and whether your reward is worth it. Where your Followers are coming from. Do you need to change your target audience to generate the customers you want? Is your brand profile on Instagram growing? 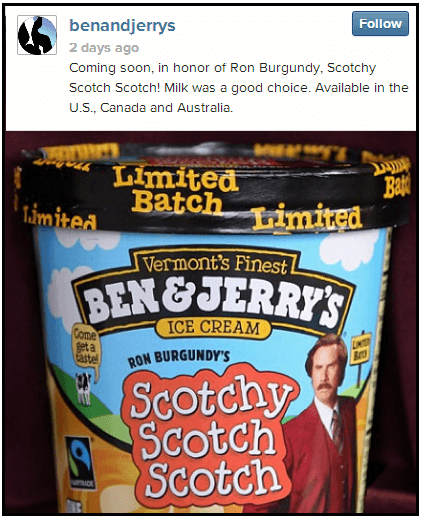 As Ben and Jerry’s has done above, you should also be tapping into what your Followers are thinking about. This means posting based on current events, world news, holidays, seasons, sporting occasions, and the trending topics on Twitter and Instagram itself. Hopefully you now have a few more strategies for maximizing your Instagram ROI. It is possible to convert Followers to customers, but remember you need Followers first; this is why you have to understand how to get more Instagram Followers. Once you have them, give them exclusive coupons to encourage real-world sales. Run a photo contest in which the photos include your products. And, my personal favorite, make your business look awesome, so your Followers want to be involved.